The dream of every producer is to make beautiful music. The kind of music that will soothe a broken heart or brighten someone’s dull day. Music that inspires people to wake up and dance instead of waking up to switch off the stereo. Now, regardless of whether you are a beginner or pro producer, the type of equipment you use in the studio has a very big effect on the kind of music you produce. And one such crucial equipment is the headphones. There is a lot of poorly recorded music out there which you can tell from the out of sync beats, exaggerated low and high frequencies that irritate the listener’s ears among other things. And do you know what they are lacking? Proper audio monitoring, mixing, and mastering. All of which cannot be achieved using an ordinary pair of headphones. You need dedicated studio headphones. Which is what we purpose to help you find in this post. Choosing the right headphones can be an overwhelming task even for the most experienced sound engineers. Actually, what happens with most pros is that they are stuck with a specific type of cans believing it’s the best without realizing that much better headphones have come up. 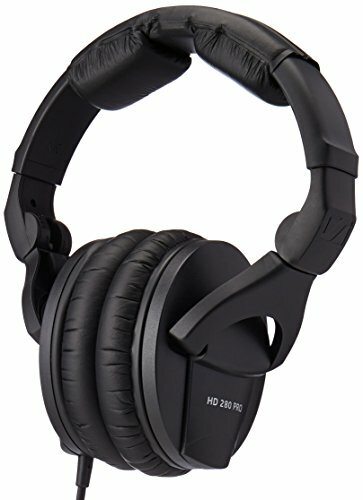 Which are these headphones? I will be telling you that in a few. 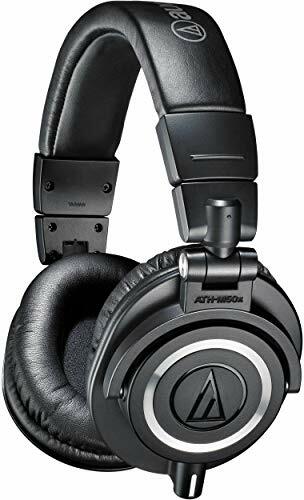 After the massive success of the ATH-M50 model, it was to be expected that Audio Technica would follow it up with another model. Unsurprisingly, this new model has also come to be widely accepted and is currently one of the best studio headphones you can own. One distinguishing feature from its predecessor is the interchangeable cables. It comes with three detachable cables (1.2 m – 3.0 m coiled cable, 3.0 m straight cable and 1.2 m straight cable) giving you more flexibility in terms of allowed devices. The Technica ATH-M50x comes with significantly big drivers measuring 45mm that is further reinforced by rare earth magnets and copper-clad aluminum wire voice coils that ensure you are getting the best quality sound. On top of that, the closed back design is excellent for isolation ensuring that you are not distracted by external noise. The ear cups can also be swiveled through an angle of 90 degrees for one-ear monitoring. This is a feature you can also utilize when using the headphones outside the studio and you do not want to shut out the outside world completely. These headphones have been fitted with ear pads and a headband material for comfort and to boost their lifespan. Although the bass in these headphones is a little exaggerated they really excel in producing a crisp sound which is necessary to detect any flaws in the recording. And you don’t have to take my word for it. 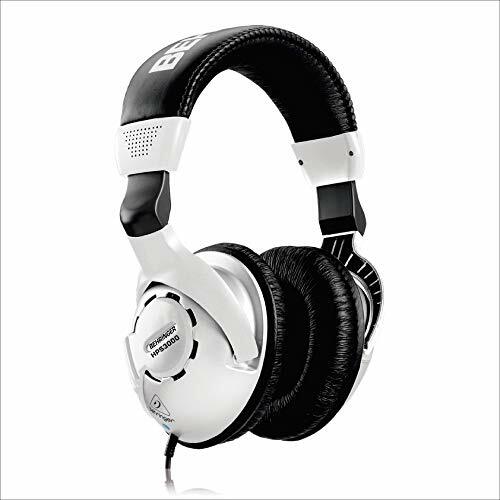 These are headphones that have been praised year after year by top audio professionals. Is there anyone who really needs an introduction to Sony? I believe this is a brand that speaks for itself. 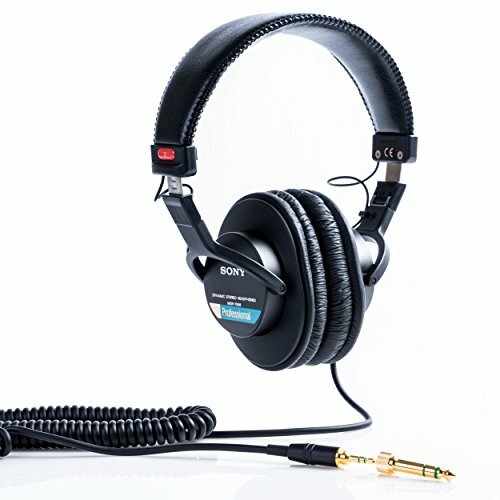 But allow me to outline what makes the Sony MDR7506 the perfect studio headphones. First off, the 45mm drivers are reinforced by neodymium magnets for the most powerful and detailed sound with an impressive frequency response of 10 Hz – 20 kHz. Then there is the effective noise cancellation through closed ear design that practically transfers you to a world where there is just you and your audio. The Sony MDR7506 is also really comfortable to wear thanks to the adequate headband padding. These headphones come with a 9.8-foot coiled cord which is long enough to allow you some freedom of movement in the studio without having to take them off. However, I feel this could have been better if Sony had just made the cord detachable. Included in the package is a stereo Unimatch plug that enables you to use both 1/4 -inch and 1/8-inch applications and a soft case in which you can store the headphones when carrying them or just for safe keeping. Although for maximum protection, we recommend storing them in a hard shell. The headphones fold up easily to fit into the case. These cans may be from a while back but there is a reason they are still the preferred choice for numerous studio professionals. Their well pronounced mid-range makes them really effective in detailed listening, studio monitoring, and music production. There is a common belief that the best type of studio headphone is the closed back design mainly because of sound isolation. But this concept is really questionable especially after you have tried the AKG K240 that is a cross breed between closed and open back headphones. This coupled with the use of a highly accurate dynamic transducer play a big role in producing a natural sounding audio characterized by well-defined high, mid and low ranges. This kind of quality is best suited for mixing. The around-the-ear design provides the necessary comfort to enable you to wear the cans for long hours. The headband can also be adjusted to perfectly fit any head size. 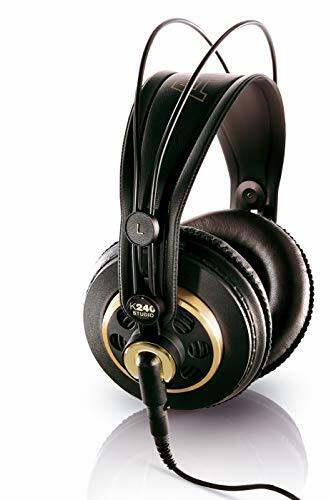 There is a newer version of these headphones, the AKG K240 Studio MK II. However, it packs the same features as the AKG K240STUDIO which is why we feel the extra cost is not justified. The only differences that we noticed were minor. Like the addition of an extra cable. I would say that these headphone’s selling point is the semi-open design and it’s also what makes them perfect for mixing. This is because it reduces the build-up of sound in your ears consequently resulting in a more accurate and natural sound. Nevertheless, these cans will still do a great job in studio monitoring and critical listening. The Sennheiser HD280PRO Headphones feature a rugged design and are among the most comfortable headphones you will wear. You might have already deduced this from the giant pads on the earbuds and adequate padding on the headband. Sure, they are not what you would call sleek but they are studio headphones after all and really good ones for that matter. This will be clear to you from the moment you put them on. The closed ear cups offer unmatched noise cancellation capabilities and the ability of these cans to reproduce an extensive frequency range of 8 Hz to 25kHz ensure that you get a perfectly balanced sound. Another good thing about these cans is that all the necessary parts are replaceable which significantly boosts their longevity. Also, the ability to swivel the ear cups means that you can engage in one ear monitoring and switch to the other ear to avoid the weariness that comes with using closed-back headphones for long hours. Something that you might not like is the use of a fixed cable. Nonetheless, it’s a relatively strong cable and has been coiled for strain relief. Also, the inclusion of an adapter is a nice way to ensure that your headphones are compatible with multiple devices including your home stereo systems. The Sennheiser HD280PRO are excellent headphones with a solid brand name and numerous positive customer reviews to back it up. If it is sound you are looking for you will get it and if its comfort you seek it ’s also there. Basically, these cans have all the elements necessary for a studio headphone. Looking at these headphones it would be hard to believe that they cost less than $30 (At the time of this review). You actually read that right and this is exactly why you will absolutely love them. Because they give you studio-quality sound at a very affordable price range. With these headphones, you are assured of a high-definition bass and really transparent highs and mids across a wide frequency range. Which is further enhanced by the highly efficient cobalt capsules that are sufficiently padded for comfort and minimum noise leakage. Also included in the package is a 1/4-inch adapter to be used with the 1/8-inch connector making these headphones suited for more than just studio use. In a niche that’s dominated by really expensive headphones, it’s nice to know that you can still get an affordable one without having to compromise on sound quality. Whether it’s mixing, critical listening or just audio monitoring you want, you can trust the HPS3000 to render even the tiniest bit of detail in the audio.